Clones and Jedi battle Separatist droids one final time. 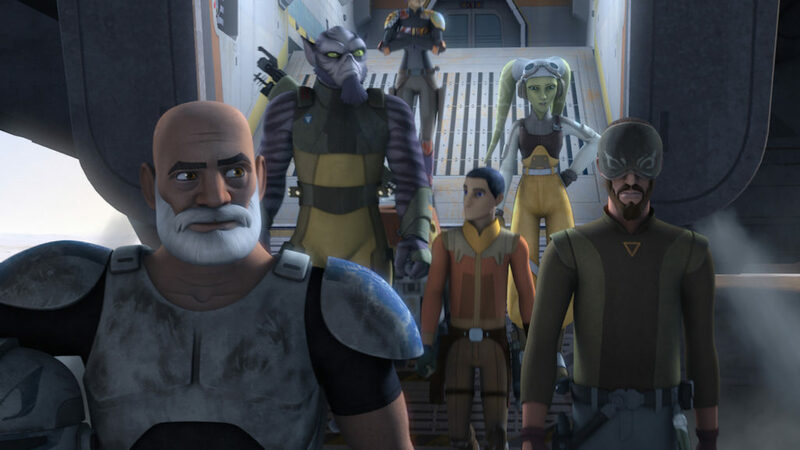 The Clone Wars may be in the past, but it looms large in the galaxy — especially those who fought its battles and still need closure. 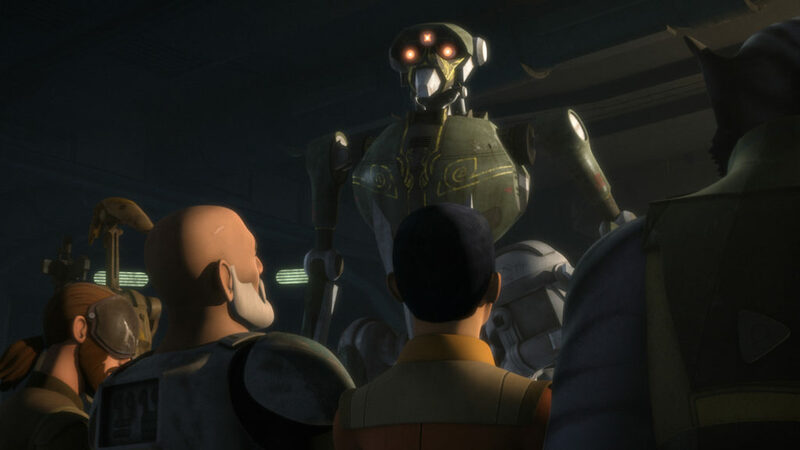 In “The Last Battle,” Rex and Separatist droids find that closure. Here are my 10 favorite moments from the episode. Just another day in the life of our rebels: weapons recon and fuel theft. Must be Saturday. 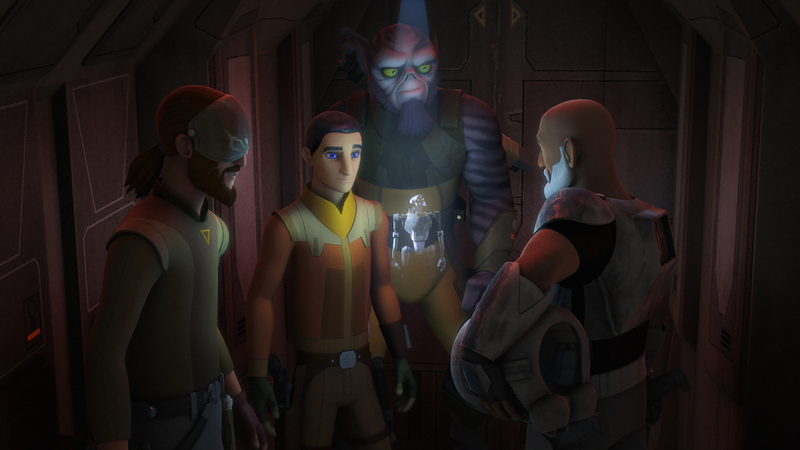 Both the banter, “You’re sure you don’t need help,” “I’m sure everything will go horribly wrong,” and Rex’s hard time adjusting to not calling Kanan anything other than “Kanan” keeps things light on the surface. 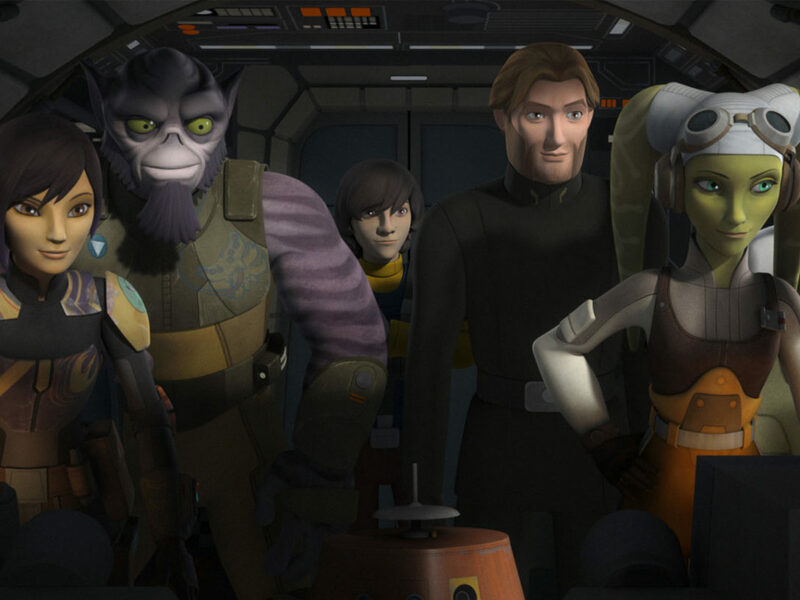 Ezra’s treating this like some kind of Clone Wars field trip. 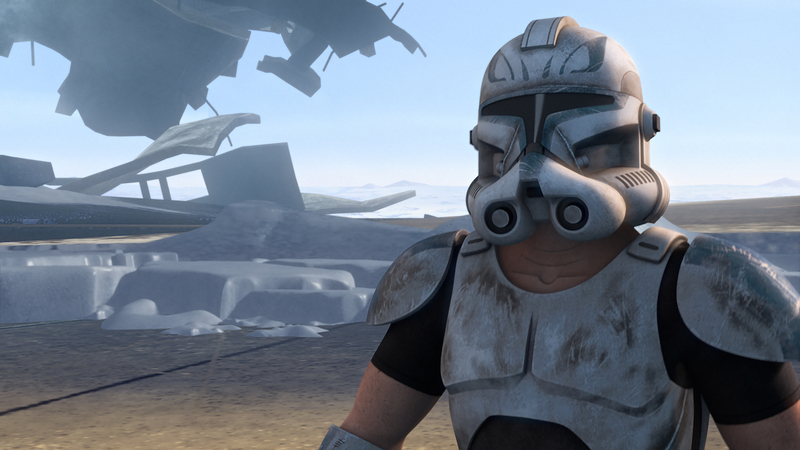 But Rex’s talk of killing clankers gives way to another memory of how many of his friends died to those droids, and we realize that the wounds of the Clone War are still fresh for Rex. Out of the ray shield into the command center. That shock has affected Rex more than we realized. 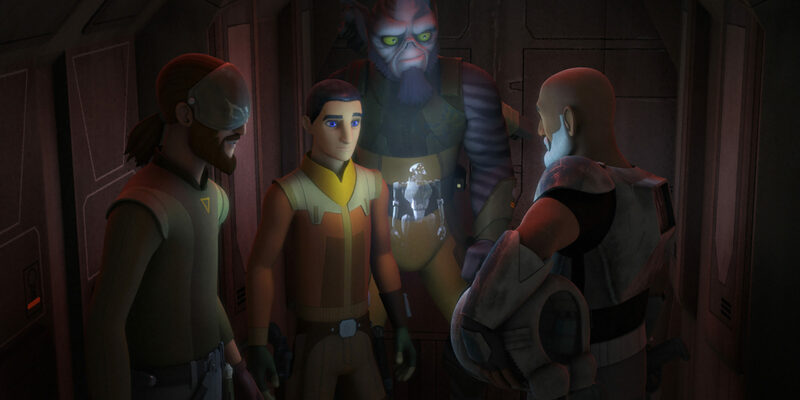 His mention of Cody just about broke my heart, but Kanan’s support and Rex’s training help get him back to the present. Ah, General Kalani. 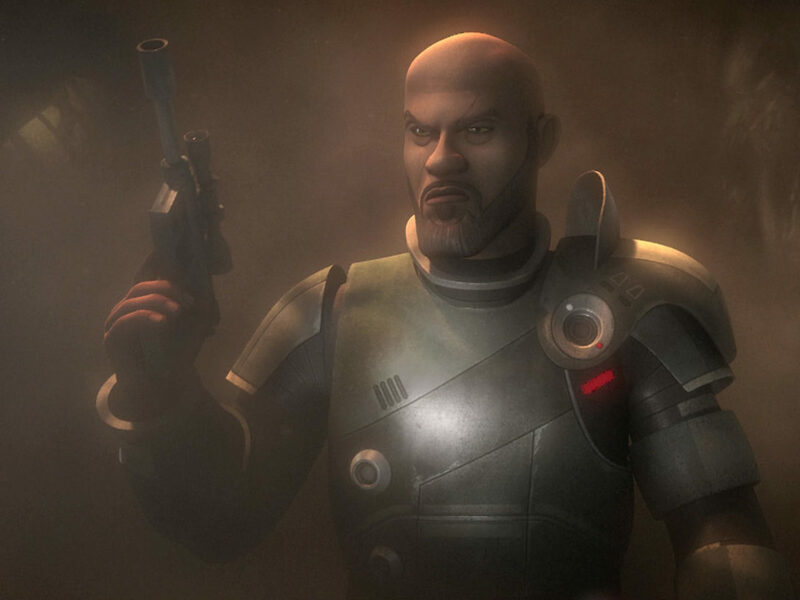 Everyone thought you died in The Clone Wars, but here you are and you’re raring for a fight. 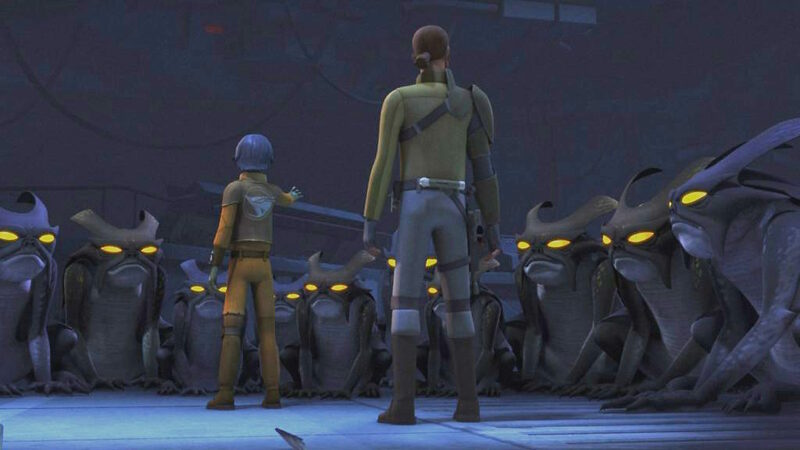 As Kalani sees it, he missed out on his last battle and now he wants to end the Clone Wars properly. Rex refuses, but Ezra’s all for it. Of course, he has no idea what he’s getting into and he’s already discounting the droids. 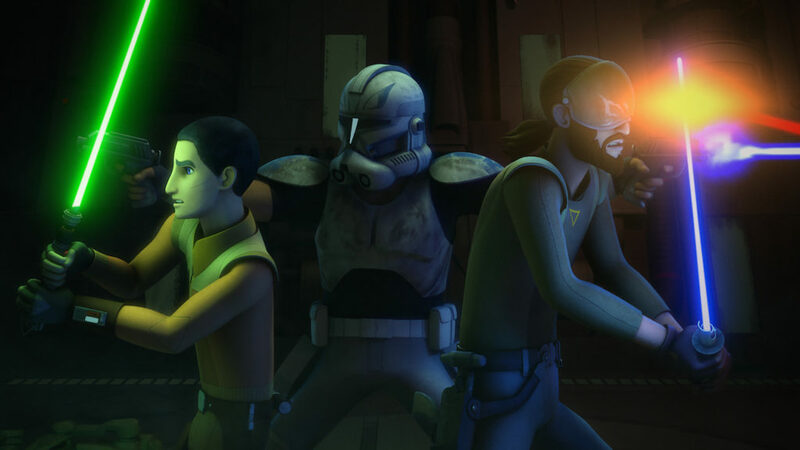 Rex and Kanan reluctantly agree after realizing that there’s really no other option. Lucky for everyone, Chopper’s found a shuttle and whacks it to make it work (so great). He even sends a message to Hera. Sadly, the message is intercepted before it ever arrives. 5. It means a lot to their programming. 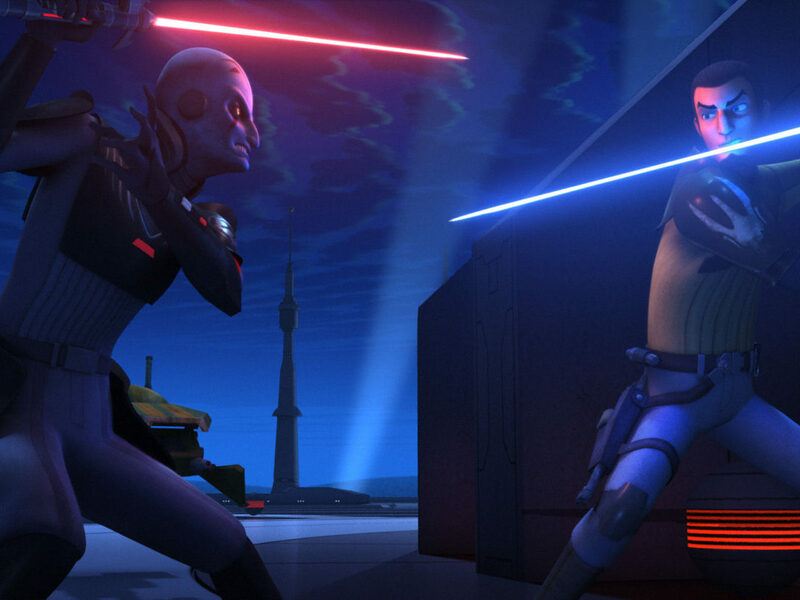 The battle starts and Ezra gets his first look at how dangerous those battle droids can be. Luckily, Clones and Jedi fighting side by side is still a good counter move and the first wave is down. However, Kalani’s had a long time to think about this and he’s not using the old playbook. Rex’s comment about Kalani’s programming and his own is quite telling…except there’s no time to discuss it, because Kalani has sent in droidekas. 6. Do a little dance on the catwalk. Ezra takes out the droidekas. He’s proud he helped, but Rex is angry at him for A) disobeying orders and B) taking so long. 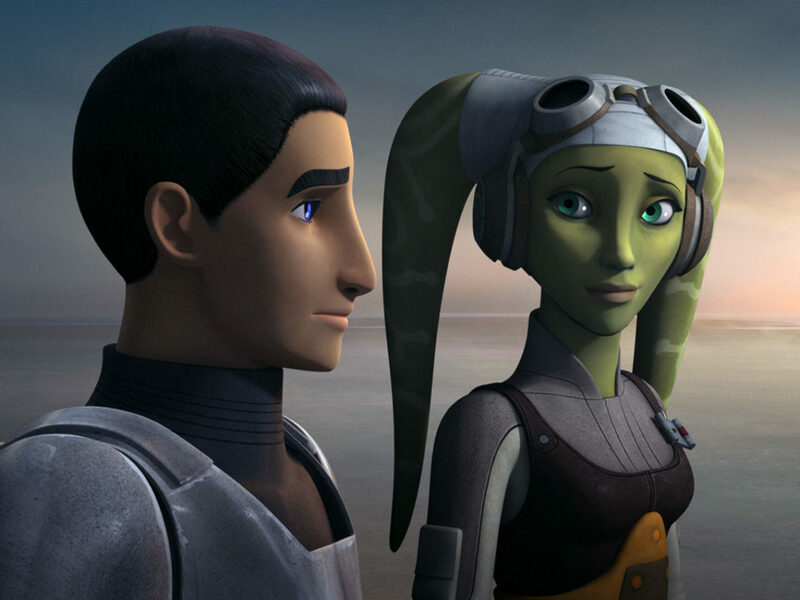 Ezra begins to realize how focused both Rex and the droid are on winning. 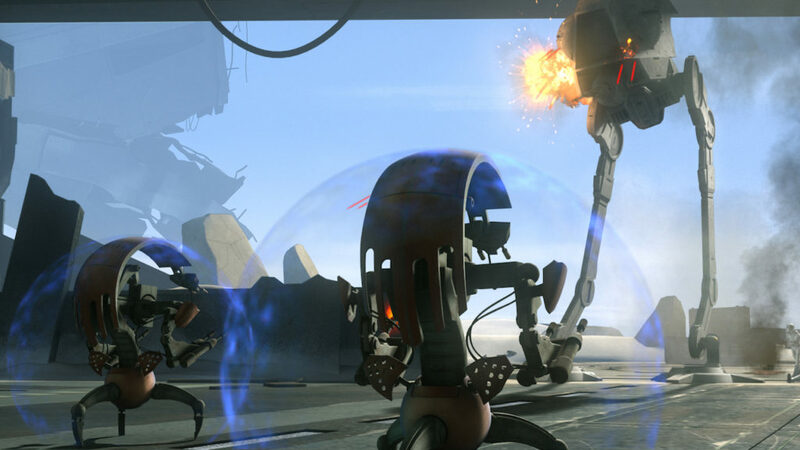 When they find themselves battling two more droidekas and both Ezra and Rex take a hit, it looks bad. They’re only saved by a malfunction in the droid’s shields, which Kanan surmises is due to age. Those droids have been here a long time. 7. Who’s the real enemy? 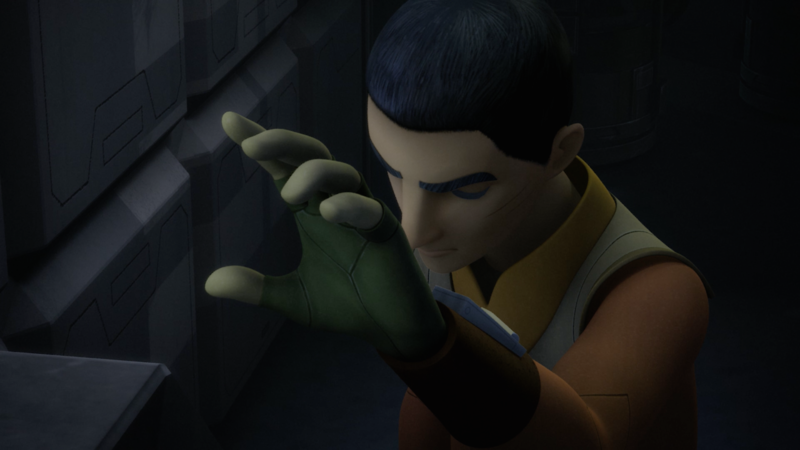 Just when Rex is about to shoot General Kalani, Ezra stops him. They didn’t win fairly. He goes on to suggest that neither clones nor droids actually won the Clone Wars. The war just…ended. Once Palpatine became Emperor, he had the clones decommissioned and the droids shut down. After all, he was working both sides. When the Empire arrives, Kalani assesses it thusly: once they were at war with the Republic, now the Republic has become the Empire. Ipso facto, the Empire in the enemy. Now that everyone’s on the same side, it’s time for a totally crazy plan that just might work (it is Star Wars, after all!). Work together, roll bombs, shoot bombs with bolts deflected by Kanan. I love this plan. It’s so The Clone Wars. The teamwork between these once opposing forces made me emotional, as did seeing Old Republic droids against the Empire walkers. 9. The end of the Clone Wars. 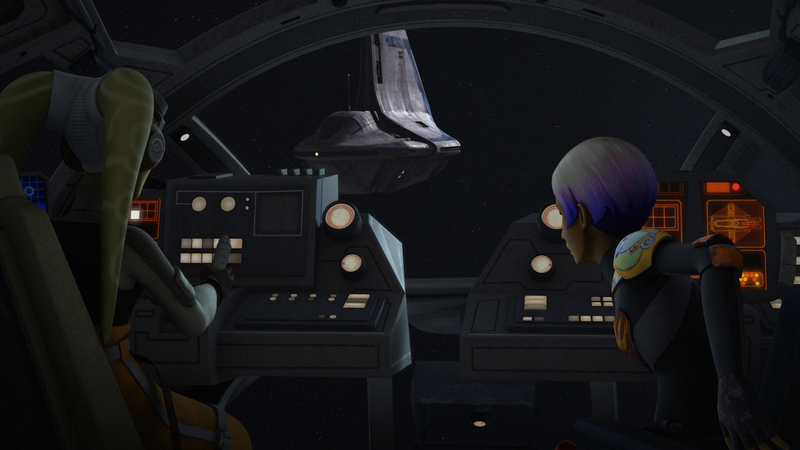 Two of the three shuttles made it out and Kalani, Rex, Kanan, and Ezra realize the battle has finally been won. 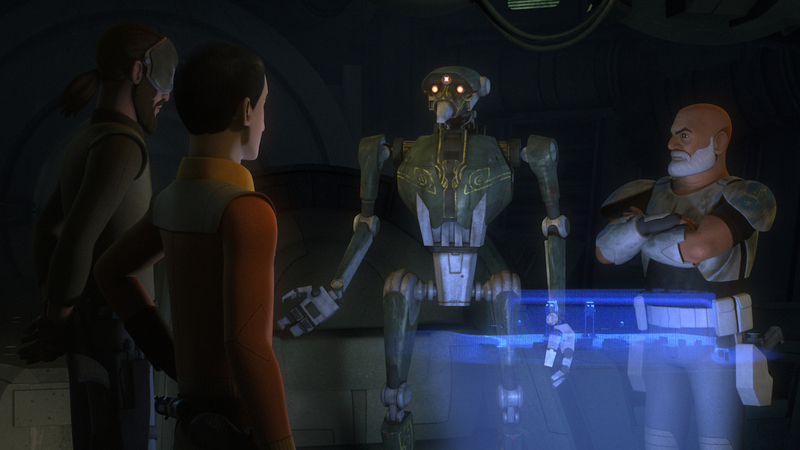 Ezra points out both the clones and droids were always set up to lose; something both Rex and Kalani needed to hear. 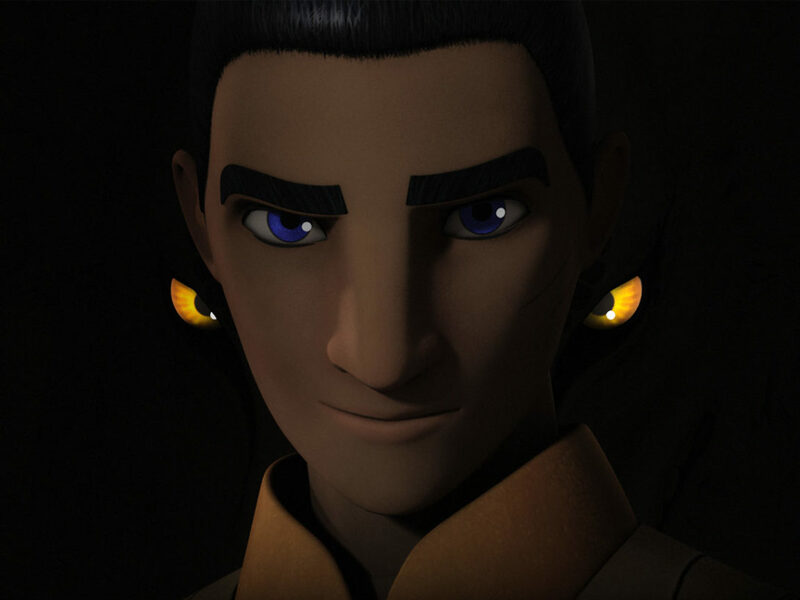 The whole thing also helps Ezra finally understands the full impact of the Clone Wars on so many — including fans of The Clone Wars. 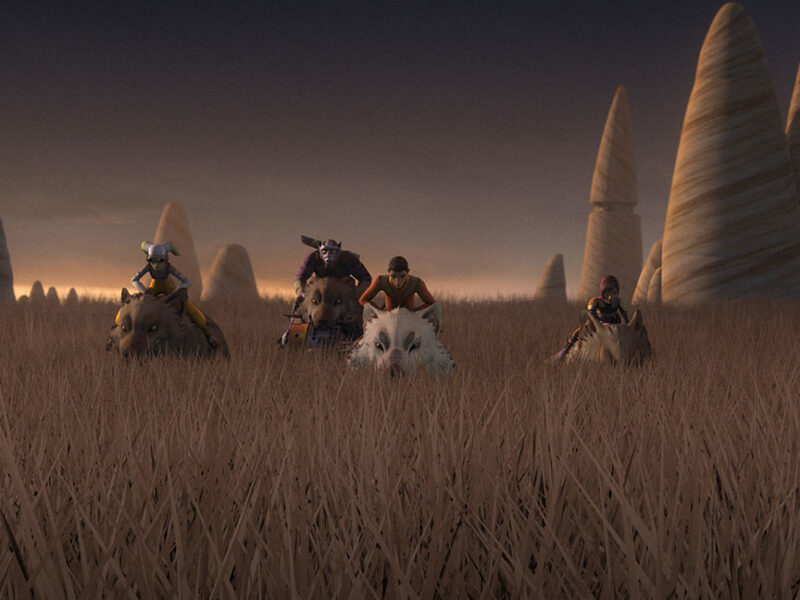 Seeing that final The Clone Wars-style end title felt just like the old days, didn’t it? 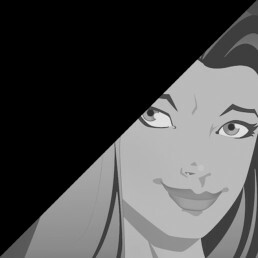 As a bonus, we have a new Phantom. 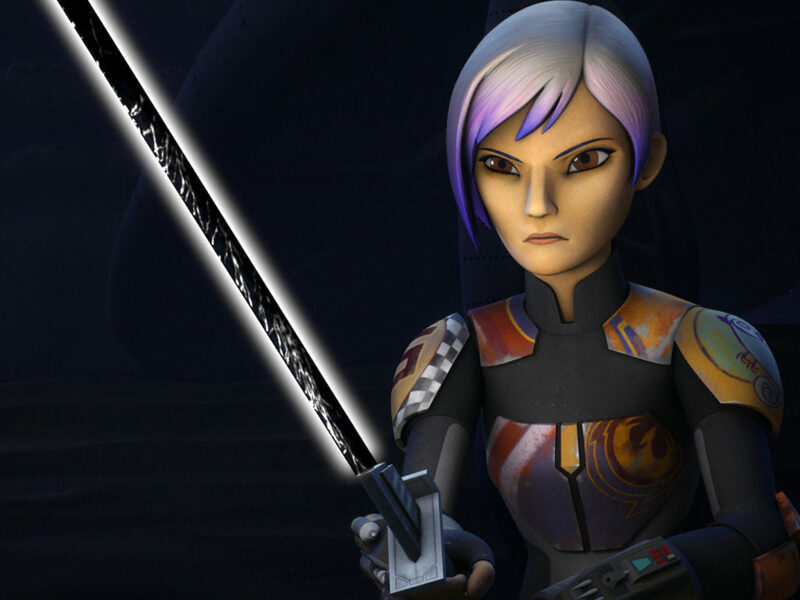 I can’t wait to see what Sabine has planned for her. Geek Girl Diva is a longtime Star Wars fan and a diehard Rebels lover. She also thinks Poe Dameron’s hair has magical properties.